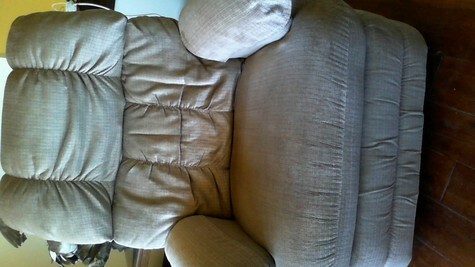 La-Z-Boy cloth recliner. Operated by wooden handle on outside of chair. Cloth.